No need to keep wasting money on takeout! 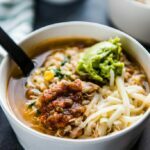 This Slow Cooker Chipotle Chicken Burrito Bowl Soup is super easy to make and healthier than traditional rice bowls. Perfect for family dinners this fall! The weather is finally cooling down (sort of), Halloween will be here soon and it is just about time to get ready for the Thanksgiving holiday where we can dream about fluffy clouds of mashed potatoes and rivers of gravy, so I think now is the perfect time to talk about soup. 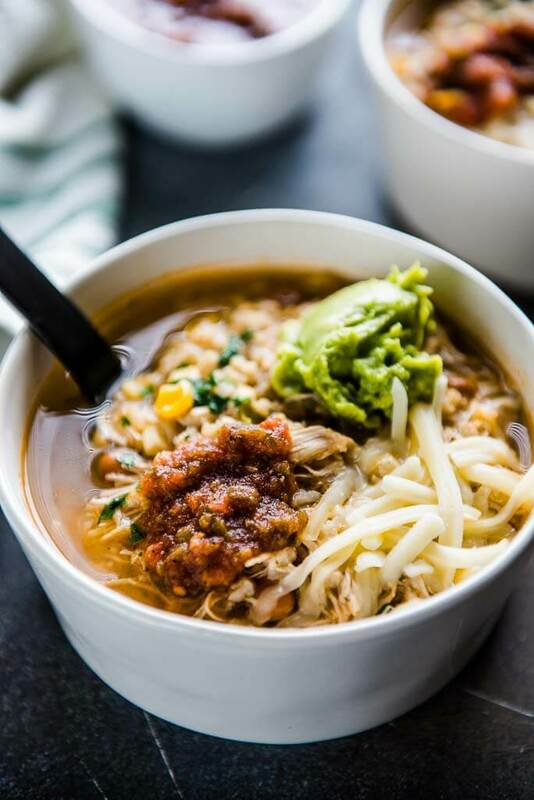 This time of year when many of us are super busy we are often tempted to run by and grab some takeout, something like say… Chipotle, in order to get a meal on the table. 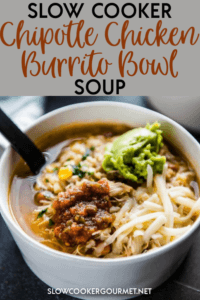 Nothing wrong with that option in the least, but, if you want to save some dollars and some calories, I’ve got a soup for you that is packed with all of the flavor of a Chipotle Chicken Burrito Bowl and will take you less time to make than it will to drive over and get pickup. These are super simple and totally customizable for each person in your family. Just get the base soup going and then set out all of the toppings and let everyone pick their own. Plus, I find this is a great way for the kids to eat their food, they feel like they have more control over their meal! Also? This is one of those toss in the slow cooker and go meals. You can leave it on low all day or start it at lunch on high and dinner will be ready right on time. 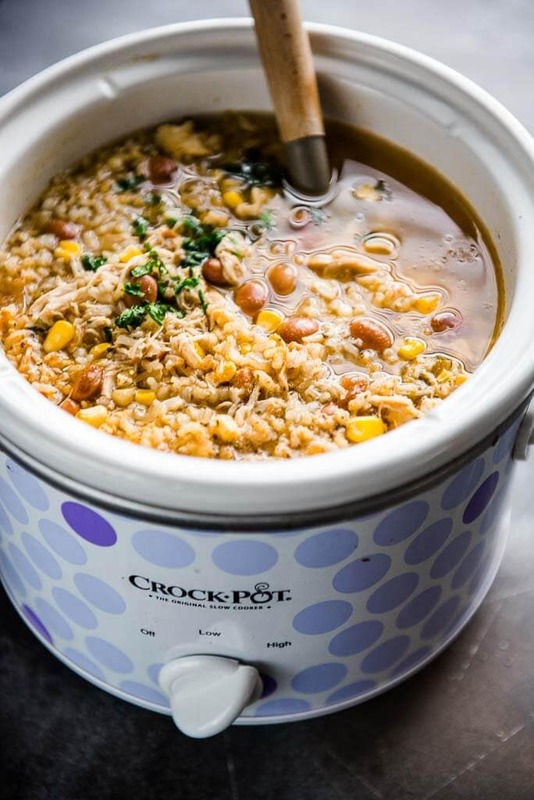 You can even make it up ahead of time by putting everything except the broth into a container or baggie and then adding to the slow cooker in the morning. 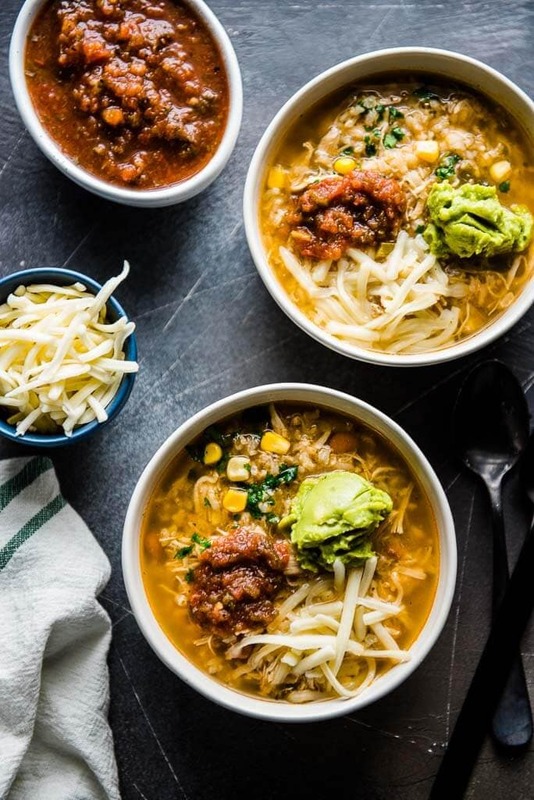 How to serve up this slow cooker soup? Make up your favorite guac recipe or pick up prepared from the deli at your grocery store. 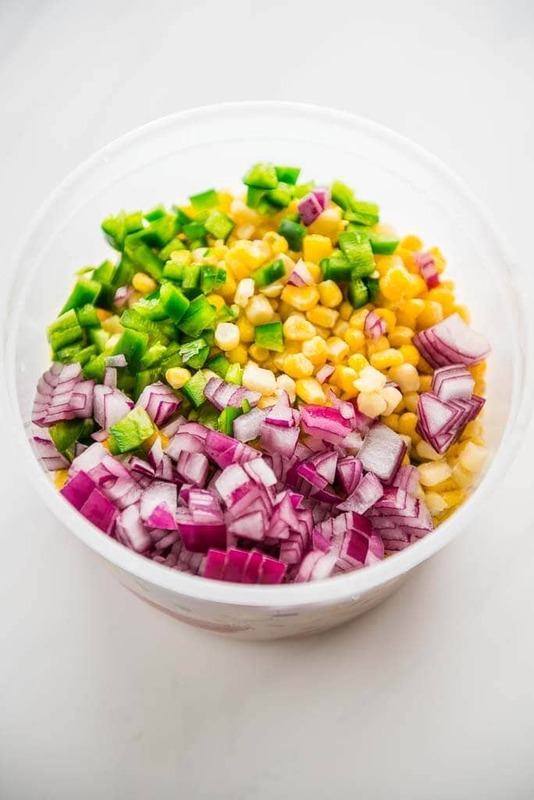 Fresh salsa is amazing here but anything you love will work! The other must haves? Chips, of course and always cheese.